Using Restraint – Taking Only The Fish You Need and Not What You Can! 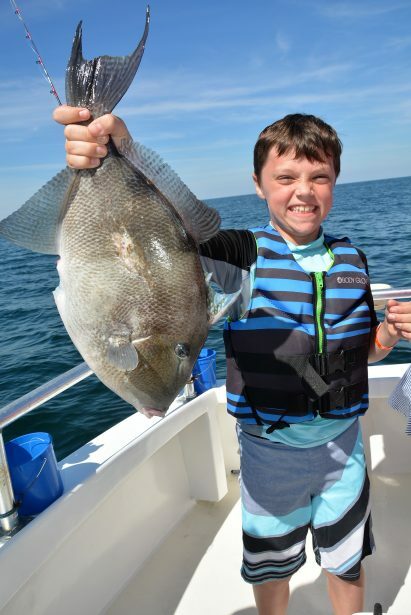 This big triggerfish is a result of having reduced bag limits and short season for a couple of years. Conservation Works. You might be wondering why a charter fishing guide like our self, would write about fish conservation? It’s because we recognized long ago that our oceans do not hold an infinite supply of fish for the taking. We have personally witnessed what a robust fishery looked like in the 1970’s and 1980’s before it was severely over fished in the 1990’s. After 2007, fish populations have been increasing, but for the past 4 years, their recovery from over fishing is quickly stalling due to too much fishing pressure. We are seeing a negative trend and it is alarming. As coastal populations increase over the next 20 years and deep sea fishing gains in popularity, we just don’t want history to repeat itself and we end up with an empty ocean again. 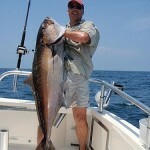 We are different than any other fishing charter in Orange Beach. We advocate “Take What You Need, Not What You Can.” This responsible approach is very popular among family’s that want to teach their children about conservation and doing what is right to ensure future generations have abundant fisheries to enjoy. Being conservation minded, has been the most rewarding thing we have ever done since we opened our doors in 2002. Since that time, we have educated enough new anglers about the importance of conservation, that a whole new trend of only taking only what you need, has started in the charter fishing industry. We are proud to have been the one that started it. When we opened our doors in 2002, the abundance of fish that we once knew as a child and young adult, were gone. Catching a legal size red snapper for instance, was hard because the entire gulf population had all been mostly over fished or fished down to where the entire gulf wide average was about 3 pounds each. As soon as a fish hit 16″ or legal size, they were harvested. This didn’t allow them to ever reach spawning maturity. Immediately after realizing our fisheries were in trouble, I felt it was important to change the way we marketed ourselves or we would be out of business. The first thing we did was create a conservation message. In order to better serve our customers, we decided to ask people what they expected to receive from today’s fishing trip? What a novel idea. By asking our potential guests their intentions, helped us figure out the direction we needed to go in order to stay in business and help rebuild our depleted fisheries. 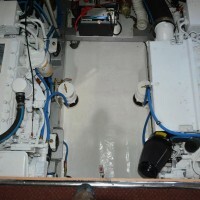 Other charter boats thought we were crazy to ask a customer what they wanted. This is because the industry assumption that the only reason anyone went fishing, was to fill the cooler. This was the way charter boats in Orange Beach were supposed to operate, right? The more fish you caught, the bigger the fish you landed, the better captain you were in the eyes of your peers. The more fish a boat landed, meant more money for the captain. The unintended consequence was over fishing. Instead taking advice from older, more established captains, we ignored all of the critics and went a different direction altogether. We did what we thought was right and began promoting “Keep The Best, Release The Rest.” This has been hugely successful for almost two decades. With the 2007 re-authorization of the Magnuson Stevens Fishery Conservation Act (MSA), by President Bush 43 was historic. The new conservation law of the land required that the 8 regional fishery management councils adhere to science based fishery stock assessments recommendations on setting annual catch targets and annual catch limits. These hard lines of accountability have actually restored 43 U.S. fish stocks from depletion in the first 12 years of its implementation. The new law required seasons and bag limits to be reduced to a point so anglers would not exceed their annual allocations. This annual allocation of fish are set in millions of pounds for some species like red snapper, hundreds of thousands of pounds for triggerfish and amberjack and metric tons for others like menhaden. These annual allocations are set each year by recommendation of the Statistical Science Committee of each region. This committee is made up of scientist from each of the five gulf states and universities, etc. They receive their science from stock assessment work that is performed by university partners from each coastal state. Even though the MSA has been really helpful in restoring once depleted fish stocks, we are now seeing a negative trend known as localized depletion. This negative trend is alarming to those of us who see history about to repeat itself. According to the most recent stock assessment, the gulf red snapper population is increasing over all, but we are seeing localized depletion throughout the gulf and near the epicenter of each port. Where we once had an abundance of red snapper as close as 8 miles off the Alabama coast, because of over fishing and seasons being too long for everyone, we are now seeing depleted areas as far out as 40 miles offshore. To visually see this depleted area, imagine a map with a stick pin stuck in it at Orange Beach with a long string tied to it? If you stretch the string out 40 miles over the gulf, everything within that area of shore and the pencil tip, is experiencing over fishing. Now before you get all sideways and think I am saying there are no fish in this area, we are not. There are still a lot of smaller fish 12″ to 16″ inches that are not having a chance to grow up and reach sexual maturity. By allowing fish to grow up is key to having sustainable fish populations. The first two weeks of the season each years, we do catch a few nice fish in this area. After that, the pickings become slim. You can always tell the health of a fishery by the length of the season. The longer the season, the smaller the fish are. This is because if you take the annual allocation and divide it by the average weight of the fish, you can get the number of fish that it takes to meet the quota. 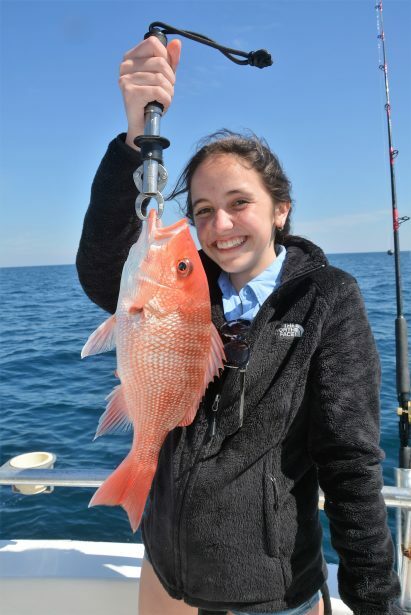 What you need to know about red snapper fishery management is, it will make you see red once you know the math behind it. Anglers who want to kill more fish hate it when we demonstrate red snapper management math 101. 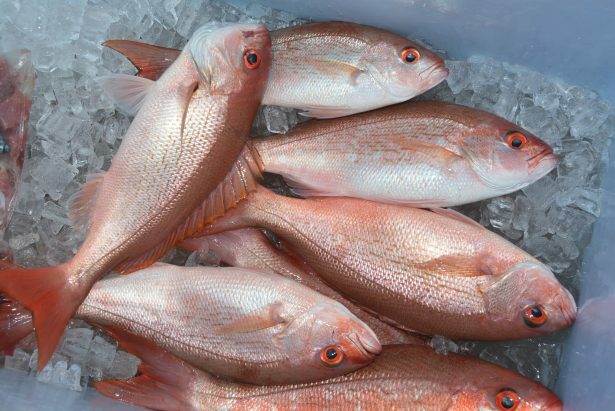 The recreational annual allocation of red snapper is just over 7,000,000 pounds for 2019. The average weight of a landed fish is projected to be about 7 pounds per fish with the help of hi-grading. This means 1,000,000 red snapper can be landed each year to stay at or under our quota. There is a 2 fish bag limit per person. This means 500,000 anglers can go fishing 1 time and harvest 2 red snappers per year and we will stay at or under our annual allocation set by the SSC and the Gulf Council. In lay terms, this means in the 5 gulf states, 100,000 people from each state can go fishing 1 time and keep 2 fish. To make matters worse, almost everyone fishing for red snapper feel like they deserve larger fish. Because fishing close to shore (within 40 miles) for larger fish is tough due to over fishing. Anglers are hi-grading fish in order to maintain a 7 pound average fish landed. Hi-grading means that anglers are catching smaller but legal size fish and either putting them in their live well until they catch a larger fish to keep. 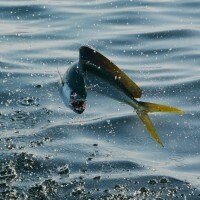 Some anglers throw the smaller fish in the cooler and die and continue to fish. When they catch a larger fish, that smaller but dead fish gets discarded. In short, anglers are estimated to be killing 14 million pounds of red snapper each year to harvest 7 million pounds. This is why we don’t hi-grade our fish. We want to be part of the solution instead of being part of the problem. The problem with all of this math is, there are an estimated 3,000,000 people fishing for red snapper in the Gulf of Mexico. As you can imagine, red snapper is a huge economic driver for each of the 5 gulf states. The Future Of Conservation – The Torch Is In Our Hands. By the year 2032, 75% of our nations population will be living in coastal communities. There is going to be a lot of demand for people to have access to fresh fish. What is even more importantly, if we are not careful and to have a fresh supply of sustainable seafood. Our perspective is, no matter how many artificial reefs we deploy offshore, the current rate of removal of the fish can’t exceed the rate of reproduction and fishing mortality. This creates an economic problem for those who want to make more money but are dependent upon having a healthy marine resources. We have to decide if we would rather have slow economic growth and healthy fish stocks or to have short term economic gain and have no fish. I know from experience that I would rather have slow growth and plenty of fish for you to catch. Being a former bank executive and fortune 500 manager, I understand the struggle of wanting to stay in business and have unrestricted growth and profits for your family and shareholders. I understand how manufacturers want to sell more boats and tackle. They too want there to be enough fish to go around. All I know, is if we fishing guides did not work cooperatively with all stakeholders and take a proactive stance and prevent over fishing, we all won’t be in business very long. If we don’t keep our finger on the pulse of the fishery, we could quickly end up right back where we were prior to 2007 with an “empty ocean.” We recognized long ago that we all have a responsibility to do what is right and leave a few more fish in the water so others can enjoy catching and eating them. Red Snapper are making a come back, but we must do our part to ensure over fishing never happens again. There is nothing wrong with keeping a few fish for dinner. We keep the best and release the rest. Our customers are the best. They are accountable, responsible and conservative people who understand the importance of why they should leave some fish in the water, so future generations will have something to catch. Our customers measure their success by making sure everyone in their group, has a great experience. Sure, our customers like to eat fish and so do we. But we remember those tough years when there were hardly any fish to catch and don’t want to go back there again. By taking only what we need each trip, ensures that future generations will have something to catch. Our customers are like us. They value life experiences greater than anything else. Our vision is now a reality and our way of fishing has become very popular among families. 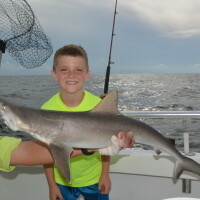 Our new style of charter fishing has turned the corner, and has become a preferred activity for families who vacation on Alabama’s Gulf Coast. When you choose Distraction, you get so much more out of your fishing experience. 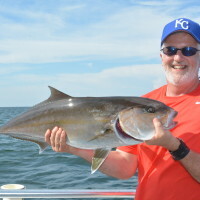 Our charter guides are men of faith, competent, knowledgeable, safe, drug & alcohol free, non-smokers, laid back and really care if your fishing deep sea fishing trip is special. Your family will be safe at all times and be in a professional environment.